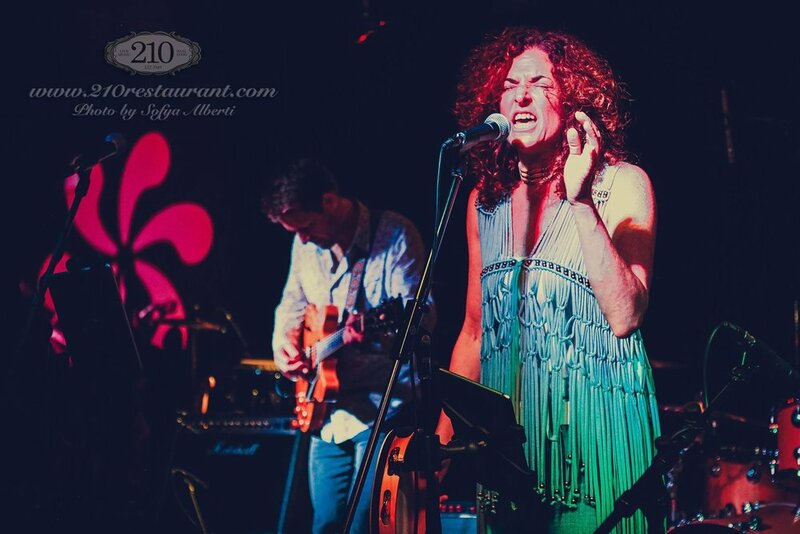 Ruth Stone Gorman (aka Roxy Stone) sings lead vocals with Off The Wagon and represents Jefferson Airplane in a Summer of Love tribute. She's been performing and writing since the age of five and enjoys "trying on" a variety of genres. Ms. Gorman worked in the Ad biz for fifteen years as a Writer/Producer and then Associate Creative Director. She collaborated with music houses in Detroit, Chicago, Nashville, New York, and Los Angeles, developing jingles for her clients, as well as recording original tunes. Since leaving the Advertising industry and moving to Chicago, Ms. Gorman has had the opportunity to perform with an exceptional pool of musicians. She believes that the best musicians are the best listeners and that a good band dynamic depends on it.